The concept of the ‘god’ premise has always been a controversial subject in human history. Even though science and carbon dating are erasing the concept of a deity, people still want to/strongly believe there is a creator sitting in the clouds watching over us. As technology carries us forward in the 21st century, it has been postulated that perhaps science may one day soon eliminate the belief in a god with more evidence on how the universe works. If and when humans do figure out the vast complexity of the universe, there will be no more need for god. Throughout human history, many belief systems have undergone a metamorphosis due to the discoveries of science. At one time there was a belief that the world was flat, but now all of humanity knows that it isn’t. During that same time, the belief that the center of the universe was Earth was also strong. Now we know that Earth is just a planet revolving around a star (sol); that happens to exist in the billions of galaxies we have in this universe. Many people still believe the Earth was created in seven days based on the biblical myth and humans were created 10,000 years ago in our current form. Technology and science have shown us that the Earth is 4.6 billion years old and has humanity has existed for over 200,000 years in many forms through evolution. Many will argue that the ‘seven day’ theory is not based on our measure of time; however to even conceive that one has the ability to decipher or even attempt to translate how much time is absurd to say the least. It seems that when one fact after another destroys the religious fantasy, another invention or explanation is made to save the ideology from complete ridicule. As Christopher Hitchens most eloquently put it, religion is an inflatable airbag growing in size every time it needs to defend its existence. Throughout the many changes that cost countless lives (usually through religious intolerance) the premise that a god still exists even though science is now solving many of the answers is still alive. Much of what once seemed mysterious: the existence of humanity, the life-bearing perfection of Earth, the workings of the universe all can now be explained by biology, astronomy, physics and other domains of science. Although the cosmos is the last frontier of man, theoretical cosmologist Sean Carroll from the California Institute of Technology predicts that eventually man will understand the universe and finally eliminate the grounds for a god-creator. Carroll argues that “god’s sphere of influence” has diminished drastically in modern times, as physics and cosmology have expanded in their ability to explain the origin and evolution of the universe. He stated that “as we learn more about the universe, there’s less and less need to look outside it for help.” Although most human minds cannot conceive the thought that science will explain everything, the possibility seems more a reality in terms of this focus of the need for a god savior. Although other theories in physics do use the concept of sequential time, the god character is left out with no need. Not only do they describe the evolution of the universe since the Big Bang, but it also accounts for how time was able to get underway in the first place. These quantum gravity theories still constitute complete, self-contained descriptions of the history of the universe. In other words there isn’t a need for an external deity to bring these events into fruition at that moment. It is true what that the god hypothesis was used in ancient times to follow rules and starve off the fear of death. As in ancient times, the belief system still stands today as people blindly follow these guidelines as to secure a place in the afterlife to escape from the toilsome trek in our physical life. As Daniel Kruger, evolutionary psychologist from the University of Michigan puts it “”We’re not designed at the level of theoretical physics. What matters to most people is what happens at the human scale, relationships to other people, things we experience in a lifetime.” Whatever the case may be, the intelligent thing to do in the author’s opinion is to be honest and state reality using rationality, logic and common sense: there are things in the universe that are unknown and perhaps we will never know. It is better to truthfully not know, than to believe a fantasy claiming that one assumes exists. Perhaps science may not answer all of the questions, but it is answering the question that more and more people are finding out the hard way: our concept of a creator god is not correct…. Natalie Wolchover. “Big Bang Was Actually a Phase Change, New Theory Says.” Lifeslittlemysteries.com (August 2012). Charles Q. Choi. “7 theories on the origin of life.” Live Science (March 2011). Natalie Wolchover. “Cram Session: Parallel Universes in 200 Words.” Lifeslittlemysteries.com (April 2012). Natalie Wolchover. 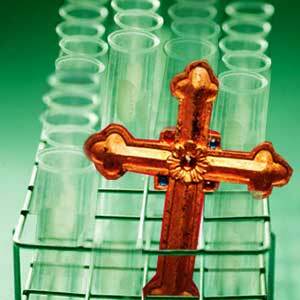 “Will Science Someday Rule Out the Possibility of God?” Live Science (September 2012). Hitchens, Christopher. God Is Not Great: How Religion Poisons Everything. Twelve Books (May 2007). Astrada, James W. The “Nonsense Papers” 2012 and Beyond: UFO Anthology Volume One. iUniverse.com (September 2012).